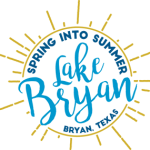 The Government-in-Action Youth Tour is a youth leadership program sponsored by Bryan Texas Utilities and organized by Texas Electric Cooperatives and the National Rural Electric Cooperative Association. For more than 50 years, electric utilities across the United States have been sending young adults to the nation’s capital for an action-packed tour. Highlights of the trip include meeting congressional leaders, visiting national monuments and historic sites, touring Smithsonian Institution museums, taking a boat cruise on the Potomac River, seeing a show at the Kennedy Center, and rallying with more than 1,700 fellow students for a day of inspirational leadership speakers. 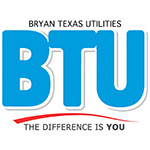 To apply, submit an application at btutilities.com/government-in-action-youth-tour. Applications must be submitted by Monday, February 5, 2018. For more information about The Government-in-Action Youth Tour, contact Meagan Brown at 979-821-5859. *Please note, incomplete applications will not be considered.